Dave Farrar predicts the Viola will only add to Carlo Ancelotti's current concerns, the Nerazzurri can sweep Parma aside and Genoa should make short work of toothless Bologna. Fiorentina haven't won in Naples for four years, but this weekend they surely have their best chance since then of coming away from the San Paolo with a victory. 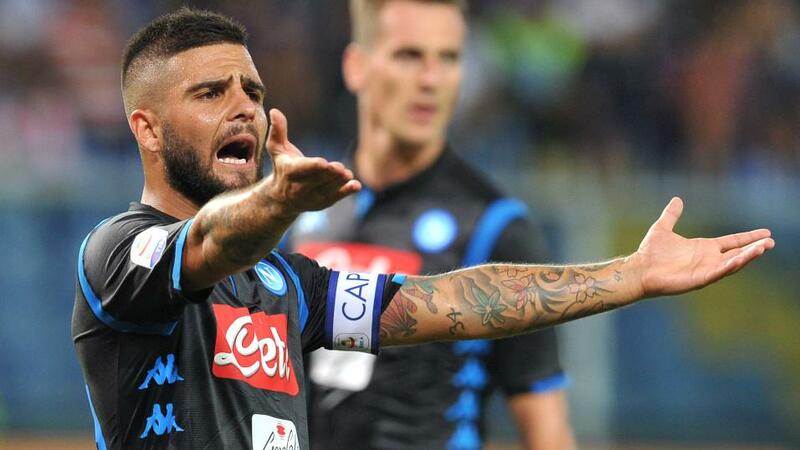 It wasn't just that Napoli lost at Sampdoria, it was the way that they lost. They looked stilted going forward, vulnerable defensively, and were in danger of being over-run in an extraordinary second half which was capped by Fabio Quagliarella's goal for the ages. Carlo Ancelotti took the decision to leave out Marek Hamsik and Jose Callejon at the Marassi, and while both will surely return here, Dries Mertens looks likely to remain on the substitutes' bench, and Napoli still look disorganised and directionless. They are of course capable of beating La Viola, but look way too short at around [1.6]. I'd fancy almost any team in Serie A to give them a game at the moment, and Fiorentina would be near the top of that list. They have started this season as they finished the last, inspired and full of drive and confidence. They've won their opening two games, have looked really good in doing so, and have a dangerous forward line spearheaded by the excellent Giovanni Simeone. The last time that these sides met was back in April, when La Viola famously ended Napoli's title hopes with a 3-0 win and a Simeone hat trick, and so Fiorentina can bring those good memories into this game. It's obviously tempting to tip Fiorentina to win at around [6.0], and that looks a massive price, but I prefer to support them more conservatively, with a goal start on the Asian Handicap at [2.5]. That looks one of the bets of the season so far, given that Napoli are in poor form, and have only beaten Fiorentina once in their last five attempts. Inter finally managed to produce a performance to settle the nerves of their fans when they went to Bologna and won comfortably, and now they face what should be an even more comfortable task against a Parma team that lost at SPAL on the opening day, before putting up a spirited performance against Juventus. Juve weren't at their best that day, and so I wouldn't read too much into that Parma performance. Fundamentally, they're an average team still finding their feet in Serie A, and given that Inter will be full of confidence, I think that Parma could be in for a long afternoon. Only Chievo have faced more shots on goal this season than Parma, which hints at a vulnerability, once which can be exposed by an Inter team who are desperate to impress in front of their own fans. They dropped five points in their opening two games, but played well for large parts of their 2-2 draw against Torino, a game in which second half mistakes cost them. I doubt they'll make similar errors this time, and if they do, I doubt that Parma are good enough to take advantage. There's a danger of course that Inter will be distracted by the Champions League game against Spurs next week, and Mauro Icardi may not even play, but I think they're good enough and strong enough to beat Parma comfortably, and I'll take a chance by supporting them giving up two goals on the Asian Handicap. Having taken advantage of Bologna's inability to score last time out, I'm going to plough that same furrow this week and support Genoa to recover from their thrashing at Sassuolo and pick up a second home win of the season. Bologna are still without a goal, and given that Roma and Juventus lie in wait over the next two matchdays, Pippo Inzaghi will be keen to get something from Marassi this weekend. I'm not sure that he will, though. Genoa have the new striking sensation of Serie A in the shape of Krzysztof Piatek, who has been hailed by Zbigniew Boniek as a potential new Lewandowski, and who has scored seven goals in his first three games in Italy. He is supported by the old familiar Goran Pandev and a new face in the shape of the Ivorian Cristian Kouame, who has already got off the mark in Serie A. The only question mark about Genoa is that it hasn't been a typical Davide Ballardini start to the season. Six goals conceded and no clean sheet as yet. I think that he will look to grind down Bologna, be defensively solid, and then rely on the quality that he has in forward areas to win him the game. Bologna don't look good enough to counter that approach, and I wouldn't be surprised to see Genoa winning to nil, and winning comfortably.